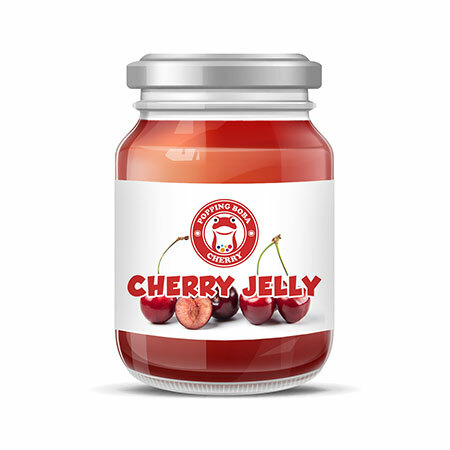 We wholesale,manufacture and supply the Cherry Jelly from Taiwan. With rich export experiences,we not only enure our products with high quality but also can offer competitive prices and best service. With the success of our tremendous growth in export markets as our major activity, we are also fulfilling the demands of local dealers & corporate. We own an excellent group of engineers, with high-tech and professional skills,our products have passed CE and RoHs approvals. Our products are well selected and checked by our professional technicians before being put up for sale, hence high quality. put in cool tea drinks, one fine choice of toppings. Snow ice are oftenly decorated with Cherry Flavor Coconut Jelly, not only for its color but also for its mutual benefiting taste combination with snow ice. Jelly products are served as fruit flavored jelly with sweet syrup contained in bottles, there are stripes and cubes of them. The stripe-shaped ones are fit for fat straws and suitable for drinks; the cubes one are with good chewiness and good for ice products as toppings.